Boosted by heavy backing from the California Democratic Party seeking a super majority, 35th District Assembly candidate Dawn Ortiz-Legg has raised in excess of $150,000 more than Republican challenger Jordan Cunningham this year. As of Sept. 24, Ortiz-Legg has raised $680,058 in total contributions in 2016, about half of which has come from the California Democratic Party and a trio of Democratic central committees. The California Democratic Party has contributed nearly $200,000 to Ortiz-Legg’s campaign, according to her contribution list. 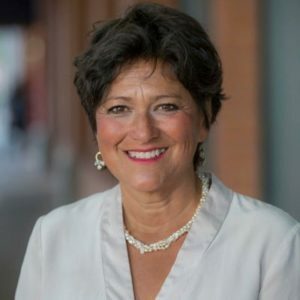 In support of Ortiz-Legg, the state Democratic Party sent out a slate mailer that contained a fabricated court document purporting to show that Cunningham had been the defense attorney in a domestic violence case in which a man attacked his girlfriend and threatened to kill her with a butcher knife. The state Democratic Party has been trying to paint Cunningham as a man who aids criminals, even though Ortiz-Legg has twice been convicted of crimes. Ortiz-Legg has also received contributions of $75,000 from the Del Norte County Democratic Central Committee, $60,000 from the Democratic Central Committee of Marin and $25,000 from the Mendocino County Democratic Central Committee. Numerous unions and other Assembly candidates have also contributed to Ortiz-Legg’s campaign. Cunningham has raised $524,055 in total contributions, as of Sept. 24. The California Republican Party is Cunningham’s top donor, though it has only given him about $80,000, according to his contribution list. Cunningham’s other top donors are the SLO County Republican Central Committee, which has contributed $30,000, and the California Real Estate PAC, which has donated $17,000. Other donors who have contributed to Cunningham’s campaign include U.S. House Majority Leader Kevin McCarthy, billionaire philanthropist Charlie Munger, oil company Phillips 66 and tobacco company Philip Morris. As of Sept. 24, Ortiz-Legg’s campaign has spent $498,875, while Cunningham’s campaign has spent $479,083. Ortiz-Legg had a cash balance of $189,945, and Cunningham had a cash balance of $178,246. In the June primary, Ortiz-Legg placed first with 44.9 percent of the vote. Cunningham received 37.3 percent. However, Ortiz-Legg was the only Democrat in the primary race, and Cunningham was one of two Republicans. The 35th District includes all of SLO County and much of Northern Santa Barbara County. The Dems smell blood in the water for this election. HRC will steamroll California and many Conservatives will be staying home. The campaign that the Dems and Ortiz-Legg have been running against Jordan Cunningham is despicable. Their campaigns of personal destruction of the opposition works in large part because a very large percentage of voters don’t care enough to seek out the real facts on the candidates or the issues. 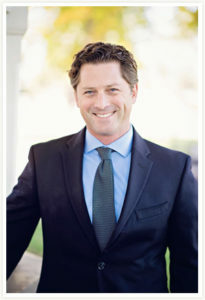 Jordan is a stand up guy, a husband and father, who graduated from one of the best law schools on the west coast. He is a school board member and advocate against excessive taxation. He is the best Assembly candidate since Sam Blakeslee served the district. If you like how California has been going the last 20 years then vote the Democratic ticket and we will all get an accelerated decline and more loss of our liberties. While you are at it make it a point to refresh yourself on our fundamental rights by reading the Bill of Rights, which is part of the U.S. Constitution, because if we get Hillary and Dawn some of these rights will be infringed upon – no doubt about it. She’s scum. More democrat scum. Is anybody really reading those mailers at this point. I received 8 various political mailers today and tossed them directly to the trash. I was actually happy to see I received a couple of bills amongst all the trash. This will give her practice wasting other peoples money. Ortiz Legg sent out another despicable campaign mailer today saying, “Jordan Cunningham- Too busy for kids- Not too busy for a campaign fundraiser”. How low is her campaign willing to go? She just keeps digging a deeper and deeper hole for herself. He’s on the school board. What has she done lately to help the kids? If I were her, I’d be ashamed to show my face on the street after this pathetic ad. being able to say that she’s a nice person. How does she thing this makes Jordan’s children feel. How can someone, simply for campaign purposes, be so heartless? She is bought and paid for. Vote for Jordan Cunningham! Tremendous amount of unabashed hypocrisy that would make most normal people blush. But not Dawn. She is now sending out a negative mailer with a wine glass on it. I guess her drunk driving is something to celebrate not run from. Even her name, Ortiz-Legg is not her current husband’s. I assume one or both of the hyphenated names belongs to one or more of the former three husbands. Yet she criticizes Cunningham for some bizarre accusation as not standing up for kids? Really, she is going family values against a man with one wife and four kids, a school board member and youth coach? Really? Today I received a pro Ortiz-Legg poll call. It was a push poll for her. Interestingly, they only called her Ortiz, not Ortiz-Legg. The woman has no transparency (as evidenced by her hidden past), a checkered history of family life, a willingness to brazenly lie about herself and others and not one apparent iota of decency. I am surprised that someone like Dave Congalton, who is typically so insightful, calls her a friend.